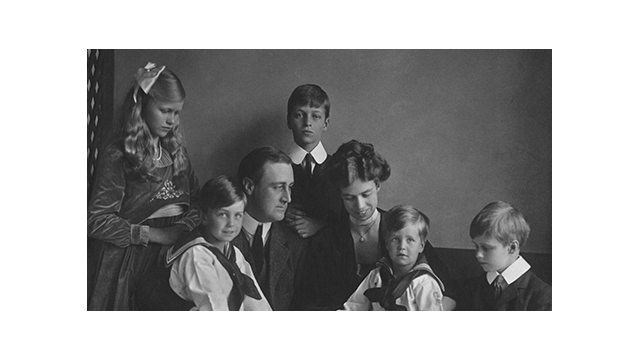 THE ROOSEVELTS is written by longtime Burns collaborator Geoffrey C. Ward, who is an authority on Franklin Roosevelt. The author of two biographical volumes, A First-Class Temperament and Before the Trumpet, he is also the editor of Closest Companion, which revealed for the first time Roosevelt’s close friendship with his distant cousin, Daisy Suckley. Ward’s interest in FDR grew in part from the fact that he, like FDR, is a polio survivor. In addition to THE ROOSEVELTS, Burns’s THE DUST BOWL will air on PBS on November 18 and 19, 2012. THE CENTRAL PARK FIVE, which recently premiered at the Cannes Film Festival, will air in 2013 or 2014. WETA Washington, DC, is the third-largest producing station for public television. WETA’s other productions and co-productions include PBS NEWSHOUR, WASHINGTON WEEK WITH GWEN IFILL AND NATIONAL JOURNAL, THE KENNEDY CENTER MARK TWAIN PRIZE, IN PERFORMANCE AT THE WHITE HOUSE, THE LIBRARY OF CONGRESS GERSHWIN PRIZE FOR POPULAR SONG and documentaries by filmmaker Ken Burns, including THE CIVIL WAR, THE WAR, THE NATIONAL PARKS: AMERICA’S BEST IDEA, THE TENTH INNING and PROHIBITION. More information on WETA and its programs and services is available at www.weta.org.